This weekend, fell and hill runners from all over the country will invade Kettlewell in Wharfedale to compete in the best one day fell competition of the year, the UKA British Fell and Hill Relay Championships. 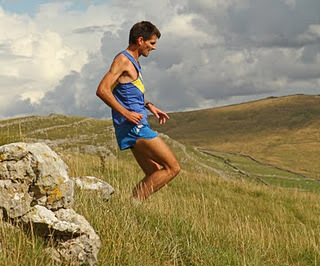 Kettlewell's twin peaks of Great Whernside (704m or 2,310ft) and Buckden Pike (702m or 2,303ft) feature in Leg 4 and Leg 2 of the race, Leg 1 will go on to the Western Bank (or Rive Gauche as they say in Grassington) and, well no-one knows where Leg 3 is going. 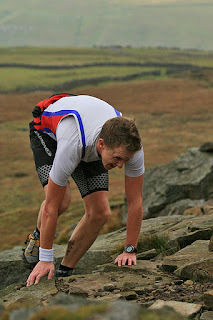 You can find out more about the routes on the Bingley (this year's organiser) website. The teams will be hoping for good clear weather not 'the season of mists and mellow fruitfulness' we've been 'enjoying' this week. Why? because you can't afford to lose your way in this race. 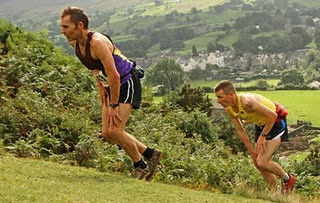 Remember Ennerdale 2009?....when the first, second and third team's Leg 4 runners (Bingley's Ali Brownlee, Mercia's Tim Davies and Pudsey and Bramley's Rob Hope) couldn't find the first checkpoint, leading all three to be disqualified and the back door open for fourth placed Borrowdale to steal, not borrow, first place. Leg 1 is too short to allow a large lead to build up but according to the route marker "it's a reet good climb and fast descent", Leg 2 with its long runnable climbs will favour those who have more leg speed than technical downhill skills, Leg 3 could be the crucial leg, with those teams with orienteers in their ranks looking to maximise profits to set up their Leg 4s who'll run up and down Whernside. Bingley's route marker tells us "at the summit of Whernside you run along the top for about 200 meters then descend, this is to prevent the leaders crashing into climbing runners. 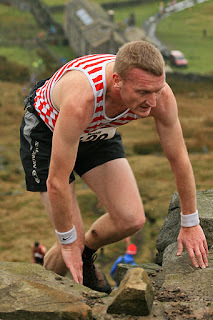 It's a brilliant bit of running and brings you back out at the sheep pens at hag dyke, then there's a fast descent into the finish with a little sting before you're done." It should be really exciting as the runners themselves will get a glimpse of how close the competition is. 190 teams of six runners, from all parts of the country but mainly from the North of England are entered. Entry list here. B is for Bingley who wear Blue and White stripes. 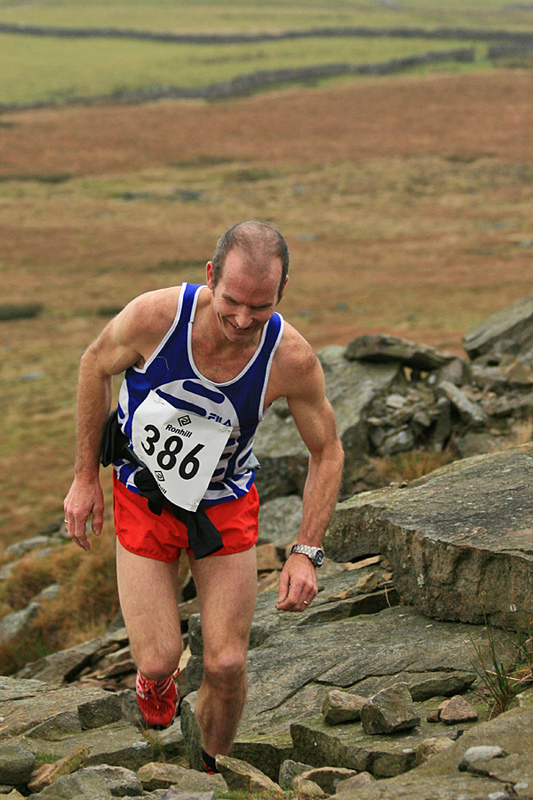 Here's Ian Holmes (pic by Andy Holden) in his Blue and White vest on Great Whernside - Ian was part of the winning team the last time the UKA Fell Relays were held in Kettlewell in 1991 - twenty years ago. 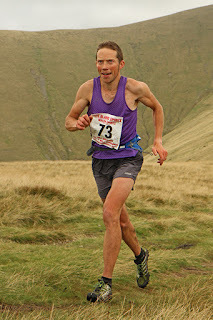 Ian won the Great Whernside race last year, I wonder if we will see him on Leg 4 on Saturday? B is also for Borrowdale who wear purple vests. Borrowdale FR have had a fine harvest this year, winning four gold medals in the Open and Vets, English and British Championships. 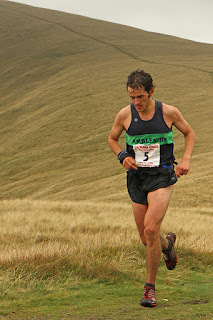 Pictured is Morgan Donnelly, this year's British Champion, Morgz is rumoured to be Borrowdale's anchorman this weekend. 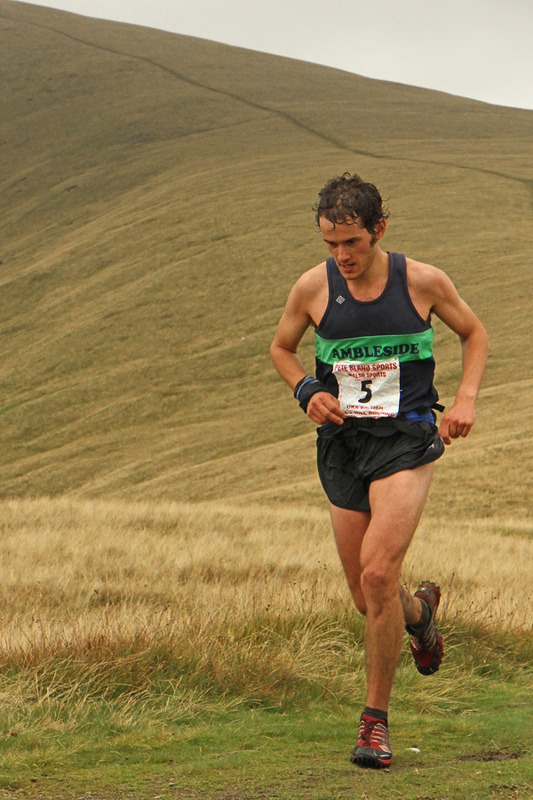 Borrowdale won the Ian Hodgson relay two weeks ago on rough lake district terrain in heavy mists, but can 'The Valley Boys' finish a perfect season off, on terrain that perhaps doesn't lend itself to their strengths? Steve Smithies on Gt Whernside in Calder Valley's Red and White stripes (by Andy Holden). Stagger told the FRA Forum that "James Logue is going well. They may just creep in to the top three." 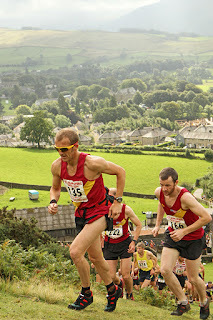 D is for Dark Peak - Here's Lloyd Taggart in arguably Fell Running's worst vest colour combination of brown, purple and yellow, leading Mercia's Tim Davies at Sedbergh this year (by Andy Holden). Lloyd is this year's double individual champion, Open and Vet 40. "My Money's on Mercia - Steve Cale, Andy and Tim Davies, the Nav guy, then Pete Vale and Simon Bailey? A lot of strength though with Roland, Werret et al who also run well......"
S is for Shettleston, last year's winners but will their superstars Jethro Lennox and Tom Owens be there? Jethro on Thursday tweeted from Frankfurt where he was attending a book fair. Wharfedale International Airport (often known as Leeds Bradford Airport) is just a few miles down the valley, so anything's possible. However Jethro's luggage went missing last time he flew to a race.... but I'm sure some of the Wharfedale boys will accompany Jethro in 'bare bottom' running. Don't worry ladies - Fell Running Briefs will be there to cover the essentials. 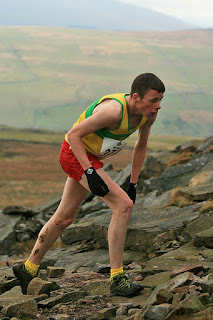 This picture of Jethro in his blue and yellow vest is from the INOV8 website. 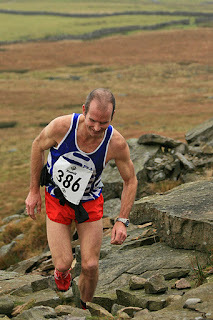 Here is Mark McGoldrick from Wharfedale in his white, red and blue vest. These are the local boys and stand a chance of a good placing following their plucky second at the Ian Hodgson Relay two weeks ago. It's going to be a "relay" exciting weekend in Wharfedale. Apparently the ground is drying out, there are marquees with cakes and other local produce on sale in the start field, the forecast is good and Andy Holden should be there with his camera. What more could you want? See you there? 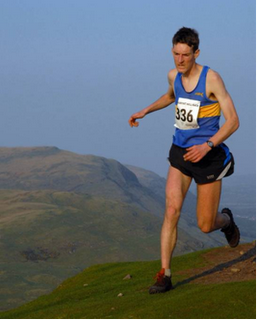 If you can't make it, follow @Fellrunninbrief on twitter, we'll be bringing you news live from Kettlewell. The tweets will also appear in the top right hand corner of this page.